Virtualization has taken over the computer world by storm primarily because it lowers costs and significantly speeds up the process of many other routine processes. Virtualization has matured from early play toys to simply the way business is done. Today, what virtualization software can accomplish is nearly limitless. But has your management methodology and software kept up? 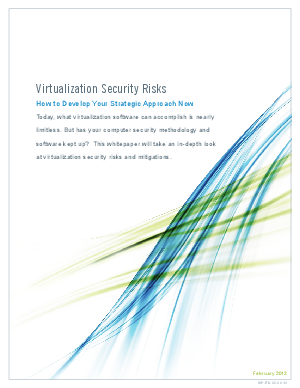 This whitepaper will take an in-depth look at virtualization technologies, security risks, and virtualization technology management models.